At ABG we are very proud of the dedicated team we have built and together we have decades of accounting experience and expertise to share with you. From Sole trader and contractor accounting through to every aspect of corporate tax, we have the skills to take the headache out of your personal or company tax and allow you to concentrate on driving your business forward and generating more revenue. Contact us today and find how you can make our team become part of your team. 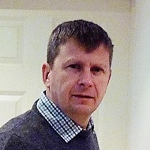 Andrew has over 30 years accountancy experience and became a Chartered Accountant in 1989. His knowledge has been gained working for a number of respectable accountancy firms and in commerce. During the nineties, he joined the Management team working in a prestigious firm of West End accountants. Following that success, he took time out to explore Australia before returning to the UK working as Group Accountant for a car dealership supporting the expanding Citroen dealership division. By 2005 Andrew was Finance Director for the Group helping to control a £35 Million turnover business. In 2006 Andrew set up ABG Accountancy in Weybridge and the practice has grown each year since then. Key areas of expertise include Tax and Audit, Accounts/Compliance, Management Accounting, and Pensions. 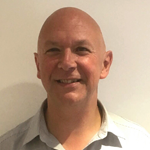 Richard has accounting experience that spans more than twenty years, he has worked with all sizes of companies and has gained valuable experience looking after sole traders and setting up and supporting the running of limited companies. In the early nineties, Richard joined Word Perfect, becoming the Finance Business Analyst, responsible for Southern and Eastern Europe, Middle East and Africa. 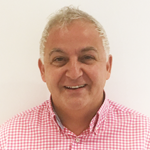 Before starting ABG Accountancy in Weybridge with Andrew, Richard was Divisional Financial Controller/Business Analyst for Amey Technology, a division of Amey PLC. Neil trained as a Chartered Accountant working for a firm in Guildford and after that for over 20 years for Callingham Crane based in Leatherhead. During that time, he worked his way up to manager level dealing with a wide range of assignments and clients, from preparing the accounts of small sole traders to the audit of large multinational private companies. He has experience of many industries and charities, putting that later skill to use as Treasurer and a Trustee of Farnham Sea Cadets. Neil has known Richard for many years and began working with ABG in 2013. Key areas of expertise include Accounts and Compliance, Management Accounting and Forecasts, Audit, Tax and Charity Accounts. 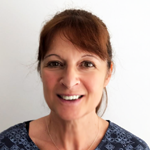 Sandy has over 30 years’ experience as a bookkeeper, accountant and administrator with extensive knowledge of SAGE accounting software. She has a wide range of experience from Payroll Management through to all levels of administration/staff management. With her wide appreciation of the inner workings of a wide range and size of companies, and with her SAGE and administrative experience she provides the backbone of our client support services. Sarah qualified as a Chartered Accountant with Ernst & Young, where she worked on audits within a wide range of industries. 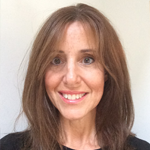 During the nineties she worked in consultancy and business planning roles for Dalgety Plc and Nestle, supporting an array of the businesses in the UK, Europe, and the USA. Sarah's experience of merger, acquisition, and restructuring helps ABG Accountancy provide consultancy services of the highest quality to our clients. Key areas of expertise include Audit, Financial Reporting, and Analysis, Consultancy/Mergers and Acquisitions, Accountancy. 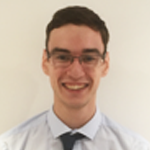 Lloyd joined ABG Accountancy in August 2012 after finishing 6th form college and became AAT qualified in 2015. He is approaching the final stages of his training to become a chartered accountant with ICAEW. He helps our clients in areas such as statutory accounts preparation, management accounting, and tax advice & compliance work. 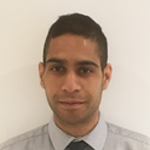 Mohsin joined ABG in 2014, after successfully completing his degree in Economics and Finance. He is currently working towards the ACA qualification. 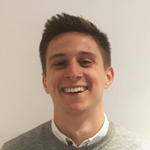 Jeremy joined ABG in 2016, after successfully completing his degree in Accountancy and Finance. He is currently working towards the ACA qualification. As a trainee accountant, he assists clients with VAT returns and accounts preparation.